The Daze Burrito at Sunny Daze Cafe. Samantha Munsey and Andi Berlin posing in front of the iconic I-10 rest stop. Alicia Vega checks out some rocks inside a mining cave at the Queen Mine Tours. A giant flamingo greets you at the door. Alien overlords stepping out of their space ship. This story was produced for Jack Furrier Tire & Auto Care by #ThisIsTucson. Thanks for supporting the local businesses that support us! Forget the fancy and go for the unusual. From roaring dinos, the world's largest rose tree, an enchanted storybook land, and kitschy tiki drinks you just have to try, here are some unique destinations in Southern Arizona you can't miss on your next road trip. Immerse yourself into the wonderful world of crazy tiny stuff at the Mini Time Machine Museum of Miniatures, located in midtown Tucson. The museum was founded by Patricia and Walter Arnell as a way showcase their extensive collection of miniatures and love of the craft. Today, visitors can explore the different sections of the museum, including "The Enchanted Realm" complete with a giant tree sculpture and miniature renditions of haunted houses, a winter village you can walk on top of, and tiny scenes fit for a fairy tale. Hours: Open Tuesday-Saturday, 9 a.m. to 4 p.m. and Sunday, noon to 4 p.m. Closed on Monday. Cost: $9 general admission, $8 for seniors and military, $6 for kids ages 4-17, kids under 3 get in free. This funky restaurant on Tucson's south side is everything a lover of the unconventional would hope to find when going out to eat. Tropical theme seating? Check. Diner foods with a fun twist? Check. Fresh doughnut holes they pass out for free? Double check! If you're feeling adventurous, or just have a bottomless stomach, get the Daze Burrito — It's a giant green chile, onion, ground beef burrito that's topped with french fries and smothered in green chili sauce. It really is a sight to behold. The real pink cherry on top though is Sunny Daze's massive collection of flamingo stuff placed in every corner the building. Our favorite flamingo of them all happens to be the tall bright pink statue that hangs out near the entrance. Hours: Open Monday-Saturday, 7 a.m. to 8 p.m., and Sunday, 7 a.m. to 3 p.m. The picturesque stretch of I-10 east from Tucson is plastered with bright yellow billboards for The Thing, "Mystery of the Desert." If the enigma hasn't consumed you by the time you reach Willcox, then you surely have special powers. Because everyone wants to know: What is it??? Lucky for us Bowlin's Travel Center, current owners of The Thing, has expanded the mystery with a $3.5 million remodel of the fun roadside attraction and rest stop. The new revamp includes an Aliens vs. Dinosaurs museum that leads up to the reveal of The Thing. We won't give anything away, but we will say we were forever changed 👽🦖. Read more about our experience exploring The Thing here. Where: 2631 N Johnson Road, Dragoon, Ariz. Hours: Museum is open daily from 7 a.m. to 6:30 p.m. Cost: $5 general admission, $10 for families, $4 seniors, military and kids under 12. There are so many unique attractions in the small historical mining town of Bisbee that we made a whole list about it. But if you really want to have a one-of-a-kind experience and learn some history long the way, head over to Queen Mine Tours located near the Lavender Pit. Here, visitors get dressed up in hardhats and thick yellow jackets to take a mini-train ride 1,500 feet into an old mining tunnel. The tours, led by former miners, show off some of the man-made caves and networks hidden deep in the earth below Bisbee. Hours: Open seven days a week. Current tour times are 9 a.m., 10:30 a.m., noon, 2 p.m. and 3:30 p.m. All tours last an hour. Next time you're in Tombstone walking down Allen Street, follow your nose to the world’s largest rose tree located just around the corner. When in bloom, this 133-year-old rose tree sends floral fragrance into the air for locals and tourist to take in. Held up by wooden posts and wire, the branches of the tree cover 5,000 square feet and the trunk is 14 feet in diameter. It all takes up the backyard of a former boarding house turned southwest museum called the Rose Tree Museum and Bookstore that’s open to visitors daily. Hours: Open Sunday-Friday, 11 a.m. to 5 p.m., and Saturday, 9 a.m. to 5 p.m. Cost: $5 for general admission into the grounds and museum. Children under 14 get in free. Look too fast and you might miss this mystical labyrinth located on the outskirts of the Rio Vista Natural Resource park near Tucson Boulevard and The Loop. Labyrinths are typically used as walking mediation paths because there are no tricks or dead ends. You can even walk barefoot if you want to to get the full experience of your surroundings. Lined with white stones to create a winding path inside a large circle, the labyrinth at Rio Vista Park sits in a beautiful desert landscape. Taking the walk is an easy way to experience a little something out if the ordinary and possibly get in tune with yourself — because everyone needs a moment of zen. 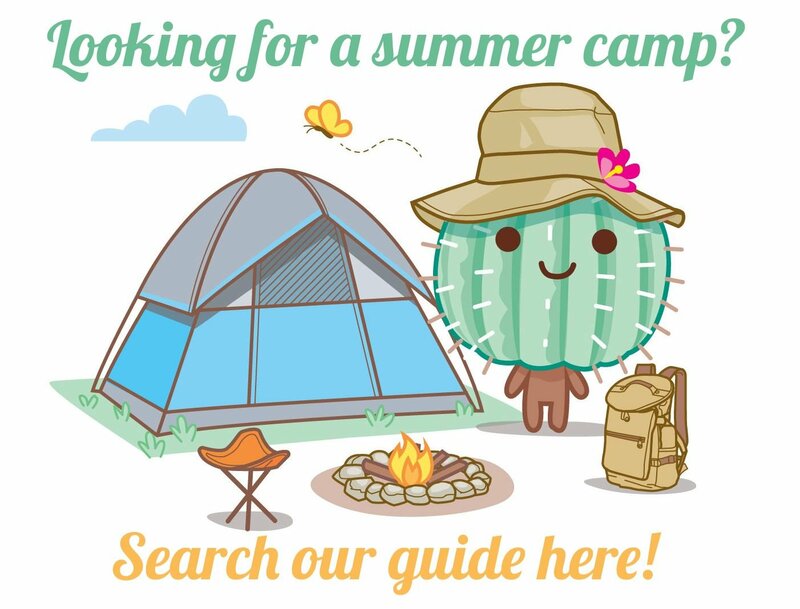 Where: Rio Vista Natural Resources Park, 3974 N. Tucson Blvd. Hours: Open daily, 6 a.m. to 10 p.m. Step into a storybook land enchanted by dragons, fairies and magic at Valley of the Moon, located in midtown Tucson. Built the 1920s' as a way to promote kindness and imagination, creator George Phar Legler used stones of various sizes and cement to construct intricate spaces for children and their families. Some of the things he made in his lifetime include a performance space, houses built for tiny magical creatures, fun passageways, and an enchanted garden. Today, Valley of the Moon is a Tucson historic landmark and a non-profit ran by volunteers. In it's recent expansion, sculptures from a old mini golf course were added. You can tour the grounds for free every first Saturday of the month. But if you want to truly feel the magic be sure to attend their yearly Halloween performances, the "Hunted Ruins", which happen every weekend in October. Hours: Open for tours and events. Check the Valley of the Moon's website for dates, times and pricing. Known as one of the oldest tiki bars in the country, Kon Tiki looks almost the same as it did when it opened its doors in 1963. With an old island flare and fun things to take in everywhere you look — like the largest collection of Milan Guanko tikis, allegedly — it's hard to remember you're sipping piña coladas in the middle of the desert. Head in for some food and try out "monkeys and birds on a stick", which are just tasty skewers of steak and chicken, or hang around for the daily happy hour that includes a free small buffet from 4-7 p.m. But the real fun is in their tiki drink menu, with cocktail names like "Navy Greg" and "A Drink of the Gods." The "Scorpion Bowl" is an original Kon Tiki drink made with rums, brandy, liqueurs and tropical fruit juices. It's served in a fishbowl cup with a long red straw — share it with your friends and feel those island vibes. Hours: Open Sunday-Thursday, 11 a.m. to 1 p.m. and Friday-Saturday, 11 a.m. to 2 p.m.
Before you head down the road, take your car to Jack Furrier Tire & Auto Care to get it Road Trip Ready with 50 percent off services that will get you where you need to go. Click here for more info or call 520-547-5005. With 14 locations around Tucson, you'll find one near you. Feel like a desert astronaut as you zip through rocks, time and space in this unexpected road trip to the Copper Corridor just north of Tucson. Go wine tasting, visit the Chiricahuas and more on this fun day trip. Here are five things to do in Southern Arizona's "sky island" paradise. It's pumpkin picking time and we cannot wait to slap on some flannel, go on a tractor ride and jump in some haystacks. It might be fall for the rest of the country but for Tucson it's nothing but mild weather and beautiful sunny days. It would be the Cele Peterson Rose Garden. Arizona is an amazing state to explore. Find the best things to do and eat in Willcox, Bisbee, Flagstaff, Sonoita, Tombstone and more. 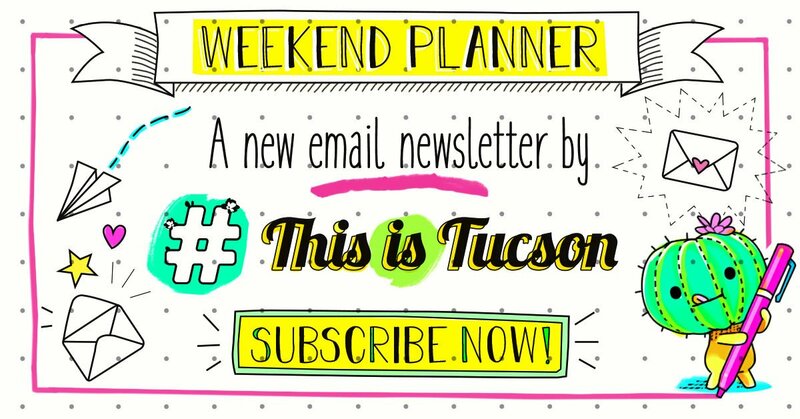 Online producer for #ThisIsTucson. Fan of all cactus.